The facade paint color is Benjamin Moore's Swiss Coffee. 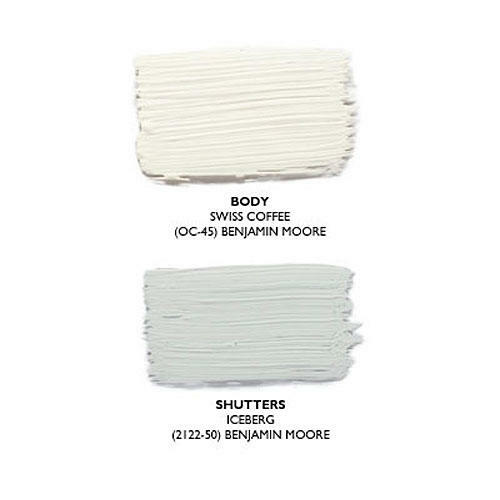 The shutter color is Iceberg. It's gorgeous! Love all the black! Love all the updates. Colors are perfect. Looks very attractive and inviting! Love the rockers and even the house number plaque! I like the soft colors- perfect cottage colors! Oh it really is beautiful. I am so amazed at what you've been able to accomplish in just 4 months, Ron. 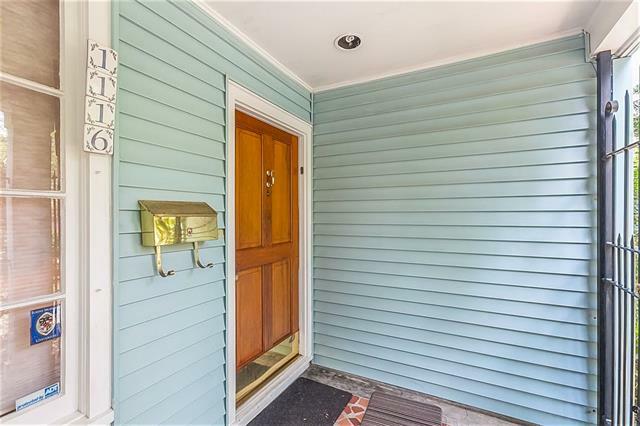 The porch is fabulous, just like everything else you've shown so far. Gorgeous! And, I want that olive jar!